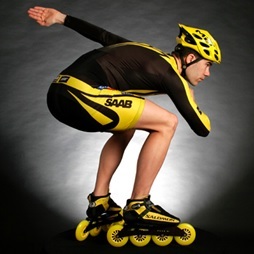 The 7th and 8th of September, VRL skating club, jointly with Roller Sports Canada RSC, will organize the Canada Roller Marathon; a 2 days international skating event. International skating marathon, with the participation of the best Canadian and Worldwide skaters. The race will award the national title of Canadian Marathon Champion. 100m race contest by group of 8 skaters. Races for children, families and fun races for beginners. Skating clinic, open to everyone, given by 2 world champions, Pascal Briand and Elton de Souza. 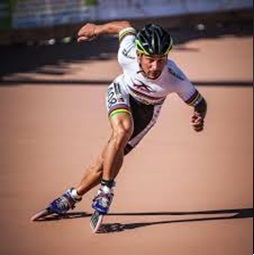 8 times world champion, victorious of general classification of the World Inline Cup in 2003 and Olympian in Vancouver in 2010, Pascal has a phenomenal track of records. A skating passionate, he travels the world to develop his sport and share his experience, in addition of being an executive of the French Federation of Roller Speed Skating. Double World Champion (2016 and 2018) in relay, winner of the 2017 World Games at the elimination race, world multi-medalist in 500m and marathon, Elton is currently one the fastest skater in the World. Higly social and outgoing, he gives a lot of clinic everywhere in the world for the greatest pleasure of everyone.